Meet the Goulash Gang: Zach, Chix, Maddy, and Marley, author Corey Holtzberg’s real-life, adopted pets. Each of them comes from very different backgrounds, but they find a way to live together as a family. 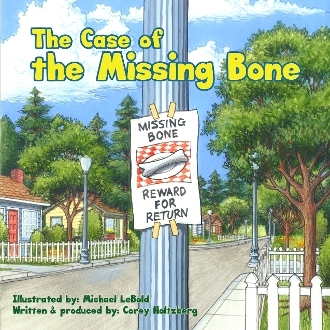 In The Case of the Missing Bone, Chix learns that following her nose can sometimes lead to trouble. Join the Goulash Gang as they teach you a story about friendship, sharing, and the importance of honesty.